R300 per hour plus R100 standard petrol charges in Johannesburg. R350 per hour plus R100 standard petrol charges in Johannesburg. R450 per hour and R1000 editing fee plus R100 standard petrol charges in Johannesburg. 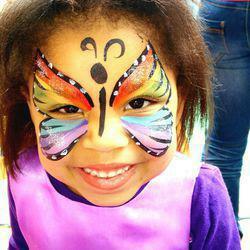 We provide endless fun for any event using professional, safe, face paints that are not harmful to the skin and can be easily washed off. 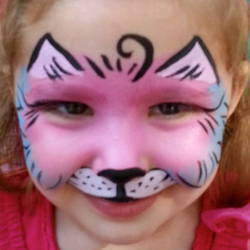 Face paint transforms kids into whatever they can imagine and is always a great addition to themed parties, we've done anything from hello kitty to dinosaurs! 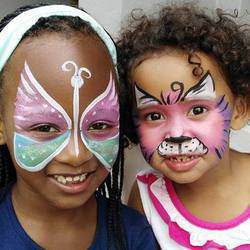 Face painting and Balloon sculpting provides entertainment for all ages, we even do 30th Birthdays or bachelorette parties, of course it's always a hit with the younger kids and it's great for promotions too. We also offer beautiful professional photography to help you capture the special day.